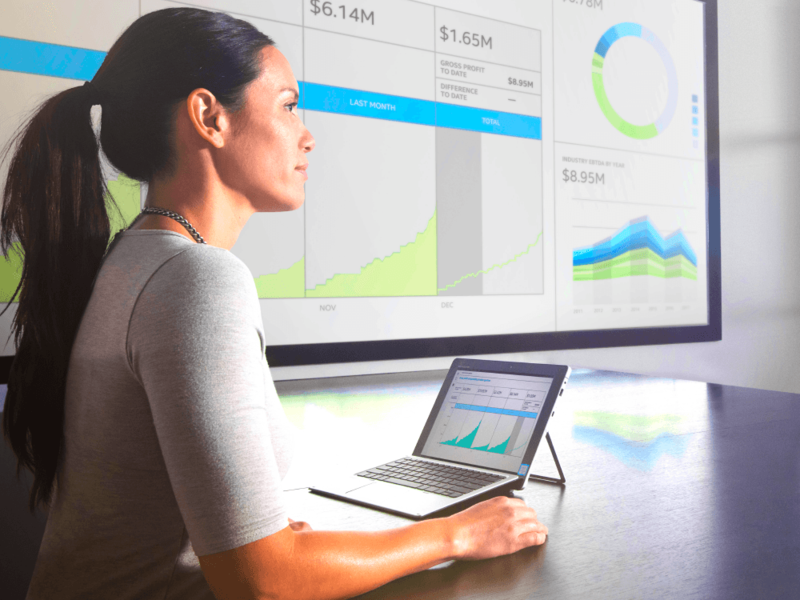 As described in the Intel IT Annual Performance Report, “Driving the Digital Enterprise Transformation,” Intel IT's artificial intelligence platform, Sales AI, enhances the value customers receive from Intel, while increasing the efficiency of our account managers. The first initiative based on the Sales AI platform, called Sales Assist, launched in 2017. Sales Assist is just the first of the exciting artificial intelligence (AI)-based capabilities the platform supports. Today, Sales Assist extracts large amounts of data from multiple sources and uses AI to generate insights about our customers. The insights are delivered as "assists" to the customer's account manager, who then decides how to act based on the "assist." For example, an assist might tell the account manager that a customer just landed a significant amount of funding, signaling growth. Or, an assist might indicate that a certain customer recently spent a half-hour browsing Intel's data center product page. Based on this information, an account manager might decide to schedule a meeting to talk about data center expansion, or send the customer a data sheet. Our next version of Sales Assist will add algorithms that imitate the logic of a human sales manager. These recommended actions will enable account managers to cover a much larger number of accounts more eﬀectively. This isn’t as easy as it sounds, because typically it is not a one-to-one ratio between an assist and a recommendation. For example, the assist, "time spent browsing the xyz product page," doesn't always generate the same recommendation. One customer may prefer to receive a product sample, while a different customer may prefer a product brief, or even an offer for training. Finding the right recommendation that provides the most value to the customer is the key. While the current Sales Assist initiative centers around account managers, there are a large number of customers who are not covered by account managers. Our vision for the Sales AI platform is "autonomous coverage." Much like autonomous vehicles, which can operate with limited or even no human guidance, assists can go out to customers with minimal human interaction. From the sales side, this means Intel can reach out to the uncovered customer base. From the customer experience side, we'll be providing customers with a better experience—useful information based on their businesses that they find valuable, at the right time. As with all machine-learning solutions, the Sales AI platform includes an embedded self-learning mechanism to improve its performance over time. Training the Sales AI platform includes account managers providing feedback on which assists and recommendations are most valuable—that is, those that generate positive customer response and revenue. Fine tuning the platform, so that the assists and recommendations it provides become more valuable to both account managers and customers, is crucial to the success of autonomous coverage. I'm really excited about the work Intel IT is doing with AI to accomplish things that are not even remotely humanly possible. I encourage you to read the IT@Intel White Paper, "Improving Sales Account Coverage with Artificial Intelligence," to find out more. Einat Ronen joined Intel in 2000 as a software developer, after graduating from the Technion (BSc. in Industrial engineering). During 2000-2007, Einat played different roles as a software developer and technical lead on building BI focused capabilities in multiple enterprise domains like HR and Finance. 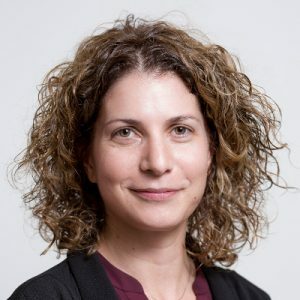 From 2007 to 2011, Einat led projects and programs in the evolving AI organization, leading the build of capabilities like dashboard for managers, finance reports for managers, and additional smart managers tools, such as base pay comparison report. Since 2012, Einat manages the SMG Advanced analytics team, owns all AI tools for SMG with the vision of unlimited scale to sales driven by AI. A few of the capabilities built during the past years include, SMART recommendation engines (AI based recommendation tools for sales people), Partner Insights (market analysis web mining tool), and Sales AI platform, which is the latest AI platform chartered to enable Intel an unlimited sales scale using AI.